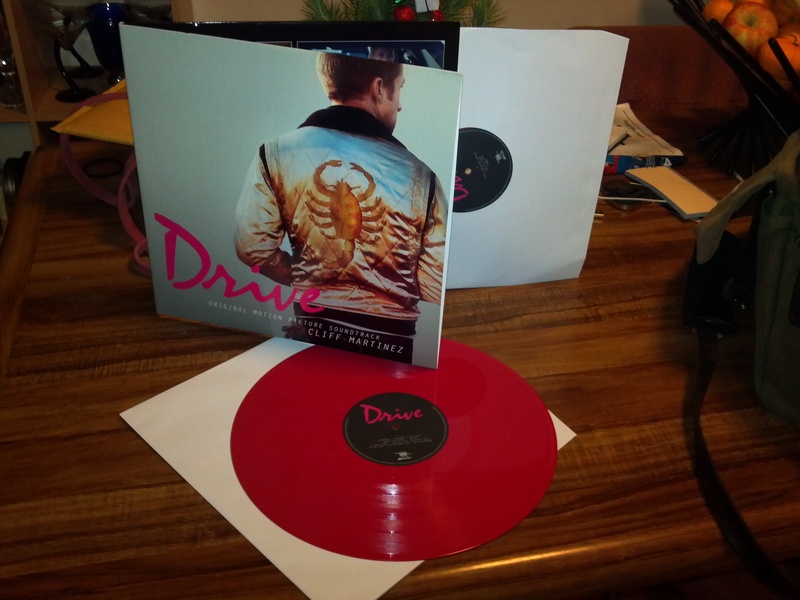 I picked up the DRIVE soundtrack on pink vinyl a while back. Shipped from the UK. A bit pricey, but it’s a real beauty of an album. If vinyl ain’t your thing, the MP3 album and CD are better priced. I enjoyed the hell out of Nicholas Winding Refn’s adaptation of James Sallis’s excellent novel DRIVE, and the music was a big part of it. The film looks like ’80s Michael Mann, with Refn’s long takes and close-ups. My one complaint, minor, was a rather silly chase with a Mustang GT and a Chrysler 300C that looked more like a car commercial than anything real; the opening chase and a later scene were much better. Ryan Gosling owns the part, the performances quite good, and it stays mostly true to the novel. Albert Brooks, Bryan Cranston, Christina Hendricks, Carey Mulligan, Ron Perlman… a great cast. Some are only in it briefly, but they leave their mark. The music is heavily ’80s influenced, immersive and almost ridiculous, meaningless pop by Kazinsky. “There’s something about you. That I can’t explain.” He gives it a thumping drive which distracts you from how close to parody the absurd lyrics really are. College / Electric Youth does this number, “A Real Hero,” which distills the deep feel of pretentious, heartfelt music. “A real human being.” Listen to it enough and it might make sense. It’s that infectious. ← Coming Soon… Hoods, Hotrods & Hellcats! Where did you purchase this online? Invada Records in the UK.